A newborn baby is fed breast milk or formula milk for the first six months. However, as the baby grows, there is a need to introduce a variety of foods as per the baby’s age to ensure proper growth and appropriate nutrition. One of these nutritive intakes for your little one is paneer. It can be given to babies at the age of eight to nine months once their digestive system has strengthened a bit. By this time most dairy allergies are also evident to the parents and choices can be made accordingly. 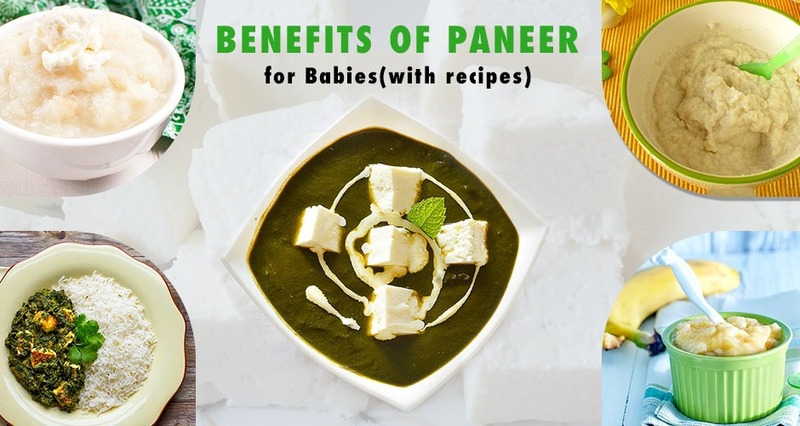 Let’s take a look at the wonderful benefits of paneer for babies. Paneer or cottage cheese is a much-loved dish in India. Highly nutritive, it is rich in protein, calcium and facilitates many body processes. Here are some amazing benefits of paneer for babies that every parent must know in order to make a well-informed dietary choice. Also read: Tofu Or Paneer: Which One Is Healthier For Kids? Paneer is a high protein food, which is also rich in calcium. It protects and strengthens your bones. It also helps to build strong teeth. The high level of Vitamin B present in it helps to improve the formation of bone cartilage. Eating paneer in any form of snack or a vegetable can be helpful since it provides instant energy and helps in body growth and development. Paneer contains dietary fibers and proteins. These help to improve the baby’s metabolism and strengthen the immune system to fight. The high protein content and the fat present in paneer provide the essential nourishment required by your baby. It aids tissue and muscle growth and repair and helps to keep the baby satiated for long. Paneer is abundantly rich in magnesium, potassium, calcium, and proteins. It is a rich source of Vitamin B, Omega 3 fatty acids, omega 6 fatty acids, and antioxidants, which will help in keeping your baby’s hair and skin healthy. Paneer is so healthy and is packed with nutritive value. Consumption of Paneer, therefore helps in preventing and also fighting malnutrition thereby keeping your babies healthy. Along with fats, vitamins, and other minerals, paneer is rich in protein and calcium, which helps in muscle formation and growth of your baby. Some paneer in your baby’s diet will definitely help in gaining weight. Simply shred a small piece of homemade paneer into pasty or mashed consistency and feed your baby. Let the baby enjoy the taste of paneer as it is, without any salt. In case you have already introduced vegetable puree to your baby then you can add a twist of paneer to it. You can take a few peas, carrot bits, potato bits, and paneer and steam them well. Then mash and sieve them to feed your little munchkin. You can add a little salt to enhance the taste. When you mash and puree the fruits for your baby, you can add a little bit of mashed paneer, which will make it a healthier meal. The dish will be nutrient rich and for added taste, you can mix in a pinch of cinnamon. Take a few florets of cauliflower and steam them for 15 minutes. Then let it rest for 5 minutes and then you can either blend it or mash it along with fresh paneer. You can add a dash of pepper for this to make it tastier for your baby. This is a healthy food, which will fill your baby’s tummy and also nutrition requirement. Mash the homemade paneer and blend it well either with breast milk or formula or cow’s milk and then add some dry fruits powder to make it healthier. Put all together and bring it to boil. You can then cool it down and feed your baby. This is a healthy combination, which is suitable for babies above eight months old. Boil some spinach and add it to a bowl of cooked rice. Also, add mashed paneer to this and then blend. Add milk or water to bring it to the required consistency and then you can feed your child. Paneer is a favorite with most kids ever since they first taste it. So go ahead and let your baby enjoy the goodness of paneer and benefit from it.